The Mi Mix 2S has the ingredients to mount an effective challenge this time around. More importantly, the phone is an alternative to those that aren't sold on the idea of a notch yet, and that may turn out to be the key differentiator for potential customers. Ticks all the right boxes and offers a great package at a great price. For the very first time in years, Xiaomi has competition breathing down its neck. The Redmi Note 5 is no longer the budget king. That honor, punnily enough, goes to the Honor 9 Lite. I assumed it was just another Chinese device with a tall display. After switching it on and then trying that camera, that impression quickly wore off as it was clear that Xiaomi is not just back in the game, but wants to be at the very top. The company has managed to once again set the bar even higher. The Redmi Note 5 Pro stands true to its ‘Pro’ moniker and excels in almost every aspect, including camera performance which has usually been a sore point for Xiaomi devices. The list of improvements includes a better set of cameras, slightly better battery life, and a more powerful processor - all of which make the usage experience just a bit nicer. Xiaomi seems to have played it safe with the Redmi Note 5, and it feels like a Redmi Note 4 with a better screen and lower price to keep up with the times, which is not a bad thing at all. To date, the Mi Note Pro is the most impressively spec’d phone in Xiaomi’s lineup, easily capable of competing in the same capacity as some of the notable smartphones in the space right now. From a specs sheet standpoint, the phone is formidable and is fully capable of garnering attention from those itching to get a high-end, high-spec’d phone. One of its biggest attractions, beyond its rich specs sheet, is the fact that the phone can be bought on the cheap – we’re talking about $480 for this bad boy! Although it’s not something that can be purchased through the usual retail channels here in the US, the super low cost to import the Xiaomi Mi Note Pro is without a doubt a route worth venturing if you desire something that’s out of the norm. Well, that’s as long as you can appreciate what its MIUI 6.0 experience can offer, as well as its shorter than expected battery life. The specs are mighty fine with this, we’re not denying that, but it still performs slightly behind the Note5 in many areas. Furthermore, it doesn’t have the nearly the same amount of diversified features that cater to power users, so its particular user experience might be thought of as limiting to some folks. 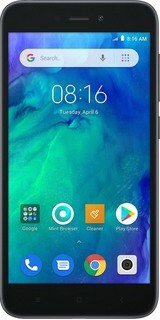 The low cost and drool worthy specs sheet give the Xiaomi Mi Note Pro a lot of credibility in generating attention, however, it still lacks the solid performance and meaningful experiences to really give the Note5, as well as some other noteworthy phones in the same caliber, any sort of threat. Xiaomi’s “budget flagship” looks great on the inside and feels great in hand. However, we believe Xiaomi still has some work to do in the UI department and the camera could have been better. Surprisingly, Qualcomm’s octa-core Snapdragon 615 isn’t as smooth as anticipated, but overall, the silicon can handle most things. Still, for the price range, the Xiaomi Mi4i is a clear winner. The Xiaomi Mi Note Pro is currently available in China for the equivalent of around $480, but that is the only market the device has launched in so far, and you will likely end up paying a hefty premium to import the device. It will also be wise to first check for LTE compatibility with your home networks, if you do decide to pick it up. Until the Mi Note Pro is officially available in other markets, opting for the other flagship devices may be the more viable option. So there you have it for this in-depth look at the Xiaomi Mi Note Pro! Xiaomi claims that the Mi Note Pro is the best smartphone in the world, and while that statement is certainly subjective, the device does manage to impress in key aspects, with regards to build quality, performance, the camera, software, and the overall user experience. The Xiaomi Mi Note Pro is definitely a worthy competitor to the current crop of Android flagships, and it is actually quite a shame that, at least for now, more people won’t be able to get their hands on it. The Xiaomi Redmi 2 is one of the most affordable Android phones money can buy. 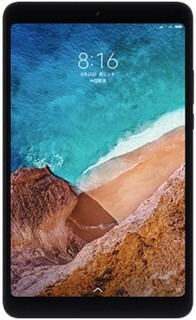 Previously, such extremely affordable phones would come crippled significantly and lacking in features, but at first sight the Redmi 2 does no compromises: it has a fairly sharp, 4.7” display, the ubiquitous Snapdragon 410 mid-range system chip, and an 8-megapixel camera that shows promise. However, there is a reason why this phone is not sold outside of Asia, and it’s the software. 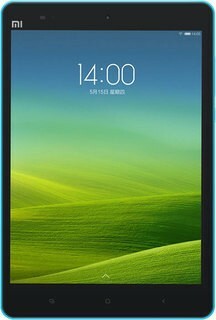 There is a lot to like about MIUI v6 that powers the Redmi 2 - its rich customization options with themes, it’s likable style and plentiful settings that you can manually tweak, and its mostly smooth operation. However, it is still a phone from China and leaves a lot of its important features to that market only: the Xiaomi account that you can register is all in Chinese, the cloud and streaming services as well, and even the Theme menu is all in Chinese. The biggest issue is that it seems that some apps just don’t run well for some reason, and those happen to be crucial apps: Facebook and the camera app crashed on us way too often. If you are willing to tinker around with it, though, or want a phone with great battery life that captures decent images, the Redmi 2 will not disappoint, and for its price it remains a good deal. Visit the Xiaomi Q&A Forum to get answers, ask a question or help others.